Tucson Realty & Trust Co. was incorporated under the laws of the Territory of Arizona on December 22, 1911 and adopted the bulls-eye as its logo. That same year, George H. Amos came to work for the firm, sweeping the office, cleaning the spittoons and sprucing up rental homes. Soon after, he became a rent collector and eventually the leading insurance agent in the community, all before his 20th birthday. It is believed that Amos sold the first automobile insurance policy in Arizona in 1915. In 1924 he was elected a vice president and director of Tucson Realty & Trust Co., eventually to be named president of the firm. View Our 100 Years of Service! When George H. Amos died in 1976, after 65 years of dedicated service, his son George H. Amos Jr., known as “Buddy”, assumed the presidency of Tucson Realty & Trust Co. Buddy, an insurance agent and community philanthropist, was well known for his work with Arizona’s Children’s Home and St. Joseph’s Hospital. Buddy continued the tradition of providing leadership in cultural, political, and charitable organizations, until his fight with cancer ended in November, 1990. Continuing the family tradition, George H. Amos III, known as “Hank”, took over the presidency of Tucson Realty & Trust in 1988. Hank is still the CEO of Tucson Realty & Trust and it’s subsidiary. The company has seen many changes over the years. We no longer sell insurance or offer trust and residential brokerage services, but continue to provide full-service commercial and management real estate services. Tucson Realty & Trust Co. is proud to be in our eleventh decade of business in Southern Arizona. We know the Tucson market better than anyone and are the leaders of commercial real estate in the Southwest. 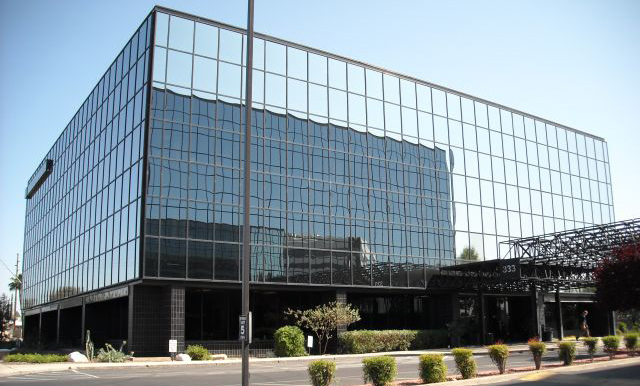 When looking for a commercial real estate property, there is no one better to turn to. Come see why no one knows Tucson like Tucson Realty & Trust Co.
Our region is centered upon the City of Tucson, Arizona and the major counties surrounding it: Pima, Pinal, Cochise & Santa Cruz together with the State of Sonora in Northern Mexico. Tucson, located in Pima County, is the 32nd largest city in the United States and is famous for its picturesque desert and canyon landscapes, mountain ranges and rich Native American History. Tucson sits within a valley that is surrounded by soaring mountain peaks such as the Catalina Mountains. Tucson’s mild winters and dry climate make it an ideal place for outdoor recreation such as bicycling and golf. Tucson and it’s surrounding communities make particularly good retirement destinations for seniors because of it’s warm, dry climate. Tucson Realty and Trust Co. proudly serves our Southwest region with experience and trust and we look forward to the years of service to come!